Do you and your spouse seem to be fighting all the time, even over the littlest things? Perhaps you’ve recently argued about who left the light on last or whose turn it is to wash the dishes? Conversely, maybe you have the opposite problem – you just do not have anything to talk about anymore. It could also be that you do not trust your partner anymore. Maybe they did something to break that trust and you are having a hard time getting over it. It’s likely that you would benefit from marriage counselling. Other than household disagreements or lapses in conversation, there are certainly other reasons for marriage counselling. Maybe there is a large, looming issue that has yet to be discussed. Are you afraid to say something to your spouse because what you want to talk about is so serious that you are worried it will end the relationship? Maybe you feel like the issue and the time to discuss it are too far gone. You might be holding onto problems such as money issues, parenting conflicts, or even infidelity. These are all strong signs that you may need to talk to a marriage counselor about your relationship. But what if you are just bored with your relationship? Maybe you are feeling like you do not get enough attention anymore. Or perhaps you might be worried that they are getting bored with you, but you do not want to ask because you are afraid of what the answer may be. These are also valid reasons to consider marriage counseling. In fact, no matter what the issue, if you feel like there is something lacking or troubling in your marriage, you can benefit from talking to a professional who specializes in marital counseling and issues between couples. You do not even have to involve your partner at first. 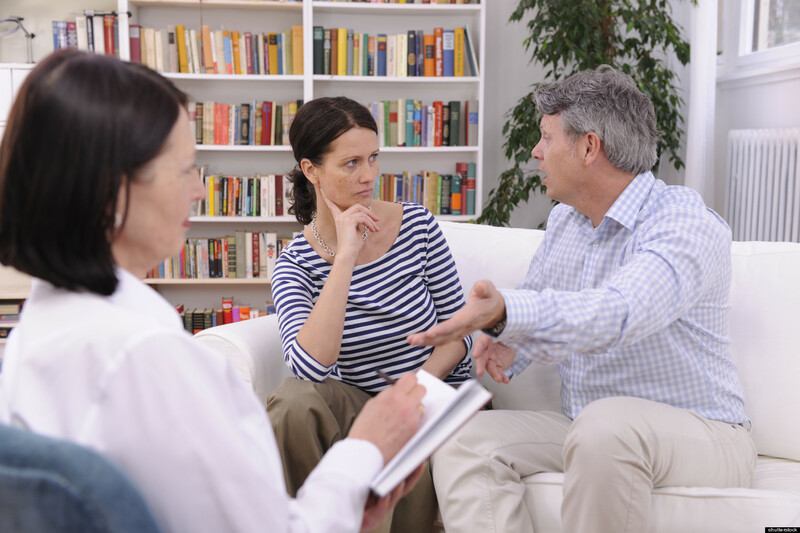 Your first meeting with a marriage counselor can just be between you and your therapist. You may come to find that throughout your therapeutic relationship, the sessions will only ever extend to you. Sometimes, marriage issues are something that you alone need to address with your therapist. Maybe you need to figure out that your relationship is not healthy for you and you need help recognizing this. Of course, attending counseling to address your marriage on your own is an extreme example – many relationships can be saved with therapy, effort, and time. However, if you making the time seems too difficult for your busy schedule, or you just do not want to travel to talk to a stranger about your marriage problems, you may benefit from online marriage counseling. There are many places that offer online therapy, including sites like BetterHelp. This is possible with the use of online chat, email, instant messaging, and even texting. With these options, you are able to message your therapist anytime you need to, whenever you are feeling like telling someone what is going on emotionally and mentally, in real-time. The therapist may not be available that very moment, but you are able to put your feelings down for your counselor to read as soon as they can. Most therapists check their messages several times a day, so it is not like traditional therapy where you have to wait weeks (or even months) to get an appointment. You usually get an answer within a few hours, no appointment needed, and you do not even have to leave the house! If you are experiencing marital difficulties that you need some help navigating or addressing, either on your own or with your spouse, online therapy is a viable and effective option that could be just the investment you need for your relationship.